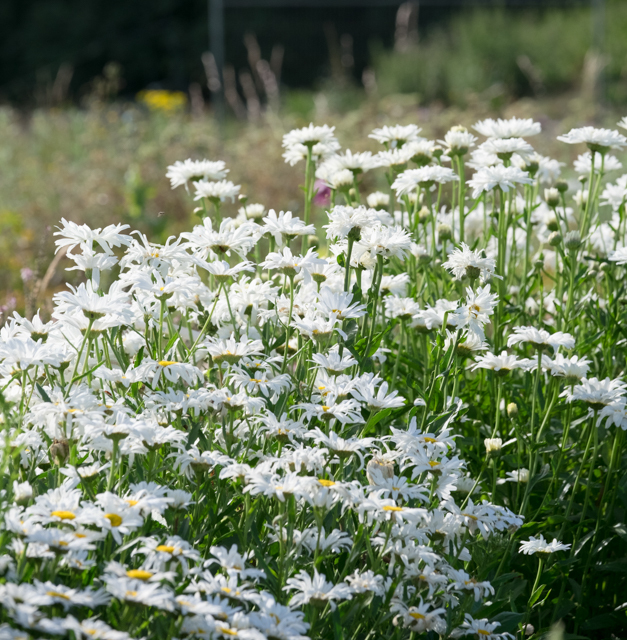 Excess plant sale, can we help you fill your Surrey borders with Cut flower plants? 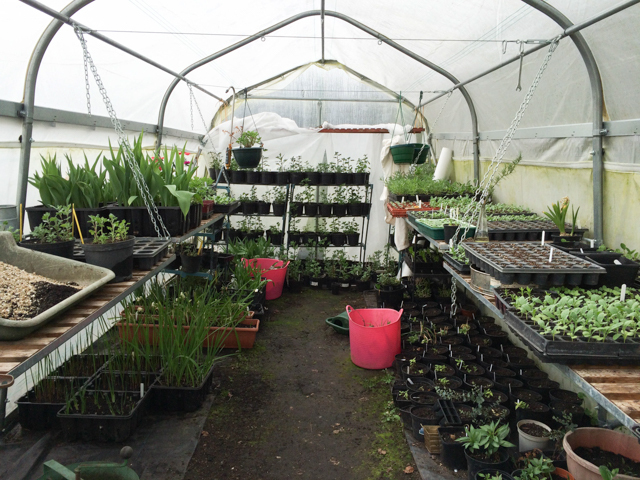 Over the last 5 years, we've had plenty of practice at propagating plants. We've got pretty good at it, and as soon as our gro-house empties of one crop, we fill it with others. Achillea and Achillea the Pearl, Helenium Moerheim Beauty, Leucanthemum, Mint, Nepeta, Helianthus Lemon Queen, Salvia May night, Bearded Iris, Alstroemeria (variety unknown sorry), Oriental Poppies, Helianthus Lemon Queen, Dark Leaved Euphorbia, Ranunculus Double Feverfew and Chivesb. They'll undoubtedly be more as we get round to weeding more of the field, and potting up what we find. 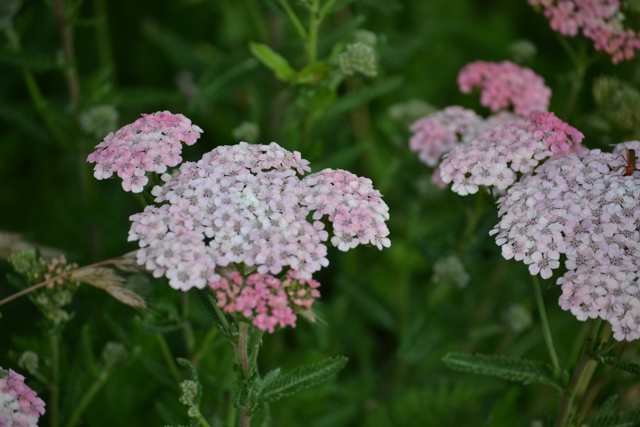 Achillea and Achillea the Pearl. We love these plants for dependable July flowers, strong stems and a bountiful supply of cut flowers. However to give us the best each year we need to divide them quite severely, so we've got plenty (or if anyone wants a big clump to divide up themselves, we've still got plenty of them too!). In a garden they can be left in situ for several years, and will give lots of flowers, just with smaller flower heads in the following years. This orange coloured August flower needs some sunshine, but will give strong stems with burnt orange blooms if offered the right position. Nepeta. This Stalwart of May has a scent that isn't to everyone's taste, but the grey blue flowers are a wonderful drift of colour, and it has stems that can be used for flower arranging even before it's flowers come out, making it an important beginning of the season plant. It's a big plant, so don't plant it next to the lawn, but it will look great softening wide paved areas. They'll be lots more in the spring as well, We'll be dividing up our Dahlia tubers, and we'll let you know if there are excess of anything else. If you're interested in any of the above, or want to know what we might suggest for the holes in your border, please fill out the form below. We deliver plants locally, or they can be collected from the farm by appointment. What's been happening at the farm this week. Seed sowing hints, tips and kit. That's a wrap - End of the season in numbers.